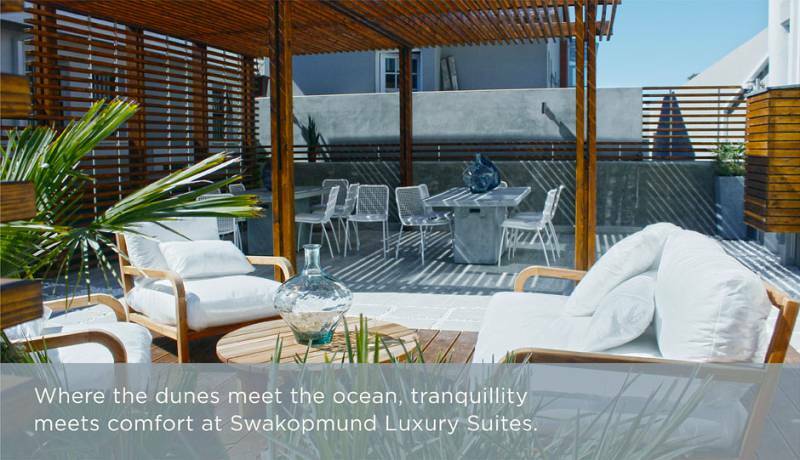 Swakopmund Luxury Suites, in the heart of Swakopmund. At 30sqm, our luxury suite is designed to give guests a touch more room to breathe and unwind. Fully equipped with tea & coffee facilities, two chairs as well as all our standard suite amenities. For those with little ones or an extra guest, our 34sqm family room is equipped with a sofa bed and lounge in addition to the amenities of our standard suites. 40sqm of luxurious splendour await those who wish to indulge in a little extra. Fully equipped with a bath as well as our other standard amenities.